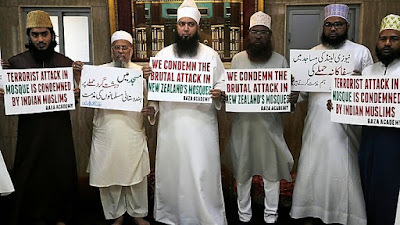 The Christchurch shootings were act of evil and must be condemned universally, but honestly, do Muslims condemn the attacks carried out by Muslims on other Muslims? The answer is simply no. 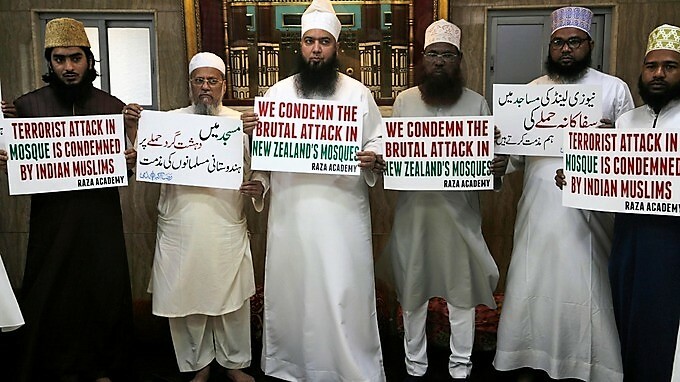 In the aftermath of mosque shootings in New Zealand, Muslims around the world decried the shootings. This was an attack from a non-Muslim on Muslims. The Taliban and ISIS have been targeting Hazaras in Afghanistan for years, no one has come out carrying a placard condemning their acts. For the past few years over hundreds of attacks have been carried out in Hazara communities in Kabul and have killed over a thousand. Just one example, last year in August 2018, a suicide attacker entered a classroom in Kabul which killed 48 teenagers and wounded hundreds of others. What is the difference between this kind of attack and that of Christchurch shootings? No one condemned such attack, neither Muslims inside Afghanistan, nor Muslims in other countries. Instead, they convened a meeting in Kabul to investigate whether suicide bombing is mentioned in the Qur'an or not. There are dozens of other examples of incidents where Muslim terrorists killed innocent people all over the world. No one has forgotten the Yazidi genocide in which over 5,000 men and women were killed and thousands of young women and children abducted and put into slavery. Where were these Muslims back then to come out and condemn the evil acts of their ilk? In the past few years, Muslim terrorists have ran their vehicles over pedestrians in European cities several times. Were they condemned by Muslims? How about Orlando nightclub shooting and Manchester Arena bombing? Did Muslims condemn those attacks? No. They rejoiced over the death of non-Muslims and especially gay people and instead, they praised the attackers. The fact is that hypocrisy and contradictions are rooted in Muslim's faith that makes it almost impossible for them to see if their own act of evil is really evil, rather than seeing it as a gift to please and glorify their God. Whether or not you are an Amazon customer, you probably have heard of Amazon Prime membership. If you are a frugal person like me and waiting to hear when Amazon announces its 30-day free trial, then you should read this post. I will address some issues and concerns and how they might be related to you and your experiences. I will unmask Amazon Prime’s disguised price hikes in their ingenious marketing ploy that gives the company an opportunity to camouflage this ploy to overcharge customers. I will explain how I was overcharged. You are probably aware that Amazon customers are only eligible for one free trial of Prime every 12 months. That happens generally in the beginning of the year, in January. So, knowing that I'd get a one-month free trial membership with Amazon Prime, I signed up last month. I ordered a couple of books and some other items. I set a reminder for myself to come back on time and to cancel my membership. Yesterday was the last day. I went online to cancel it but it said that I'm not a member because I signed for a free trial. That means you won't be charged when the free trial period ends. But unbeknownst me to that is not what happened. I was charged. Today, out of curiosity I checked my bank account and I realized that Amazon had charged me $13.09 —that is for one month of Amazon Prime. It neither showed on my Amazon account nor did I receive an e-mail confirming the charge. So, technically a free trial period is a ploy to attract more customers and unbeknown to people, Amazon signs them up automatically to its Prime membership. This is exactly what happened to me. I did not subscribe to the Prime membership, it was only a 30-day free trial. But this is not an isolated ruse to deceive people, overcharging is another Amazon Prime hidden scheme. So, let’s get down to the nitty-gritty of it. As I mentioned above, I did not sign up for a Prime membership, but I was charged $13.09. Let’s add up that number. For a twelve month membership, if I pay $13.09, which I was charged, it would add up to $157.08. When I saw that number, I went online and did some research. I looked through Amazon Prime’s website and nowhere could I find that number. I became more suspicious of Amazon. And then I asked myself, what is that cost for? Why it is not mentioned on Amazon’s website? What is shady about it? I needed to find answers for all these questions. Starting May 11, 2018, new members will be charged $119/year for an annual Prime membership and $59/year for an annual Prime Student membership. Starting June 16, 2018, existing Prime members with an annual membership will renew at a rate of $119/year. Prime Student members with an annual membership will renew at a rate of $59/year. Now, where does it mentioned $13.09 a month or $157.08 for 12 months? Nowhere. How can we consolidate $157.08 with anyone of these numbers proclaimed on Amazon Prime’s membership page? We can’t. So, is there a hidden cost, error or some sort of scam going on? The answer is, I don’t know. I don’t think a scam would be Amazon’s intention, but there is definitely something fishy going on that Amazon hides from its customers. That is a secret and a dirty trick that Amazon has carefully planned to take advantage of customers. 12:27 PM PST Akshay(Amazon): Hello, my name is Akshay. I'm here to help you today. I was charged $13.09 for prime membership, can you tell me what is that price? 12:27 PM PST Akshay: Nasim I understand your concern. Please do not worry I'll try my best to resolve this issue. 12:31 PM PST Akshay: Could you please confirm last four digit of card on which you've been charged? did you check that link?12:32 PM PST Akshay: Yes I checked the link. but that doesn't say on that page? 12:37 PM PST Akshay: $119 plus tax is for one year. 12:40 PM PST Akshay: If you purchase for long period you'll get prime in less price as compared to monthly prime. 12:41 PM PST Nasim Fekrat: can you explain that? 12:42 PM PST Akshay: Sure. 12:43 PM PST Akshay: Please allow me two minutes while I check this for you. 12:50 PM PST Akshay: Thanks for your patience while I look into this. 12:54 PM PST Akshay: As I've checked the details with my lead we don't have such explanation for the prime charges. If anyone purchase prime for one year it would be beneficial for them. 12:56 PM PST Akshay: I don't mean to rush you, but we've been idle for 1 minute. I want to make sure our chat's still connected. If you aren't able to respond in 1 minute, this chat will close. 12:56 PM PST Akshay: Sure. 12:57 PM PST Nasim Fekrat: How can I talk to someone who can explain this? Do you have a manager or something? 12:58 PM PST Akshay: Yes we've but you'll get same resolution from my manager as we both have same resources. 12:59 PM PST Nasim Fekrat: How will I get that? 01:01 PM PST Akshay: Sure. 01:05 PM PST Vinay: Thank you for staying connected. I've reviewed your correspondence and I understand your concern regarding the Prime charges. 01:06 PM PST Vinay: I want to make sure that you get the correct information. 01:06 PM PST Vinay: Nasim, If you subscribe for Prime Monthly subscription, you will be charged $12.99 per month. 01:08 PM PST Vinay: If you subscribe for annual Prime, you will get a benefit of discount with the price. 01:09 PM PST Vinay: Definitely. 01:10 PM PST Vinay: Is there anything else I can assist you with today? 01:11 PM PST Nasim Fekrat: I was charged $13.09 for a month which is $157.08 for 12 months. can you explain that egregious differences? 01:12 PM PST Vinay: We are sorry, I could just confirm that the Prime Annual Subscription will come with a discounted price. These are the fix charges that Amazon has and we won't be able to provide any further details in this case. 01:12 PM PST Nasim Fekrat: Okay, why isn't that price mentioned on Amazon prime page? 01:13 PM PST Vinay: Tax prices depend upon the region and area. 01:13 PM PST Vinay: I'm from the leadership team and this is the only resolution we could help you with. 01:14 PM PST Nasim Fekrat: what is taxes? 01:14 PM PST Vinay: I guess we have extended the best we could for you and there is nothing much we could assist you in this case. 01:15 PM PST Vinay: Is there anything else I can assist you with today? 01:15 PM PST Nasim Fekrat: Okay, you can't answer why Amazon charges me $157.08? 01:15 PM PST Nasim Fekrat: Yes, I have another question as well. 01:16 PM PST Nasim Fekrat: I didn't sign up for Amazon Prime. I initially subscribed for a 30-day free trial. Why was I charged for prime membership? 01:17 PM PST Vinay: The Auto renew wasn't turned off and hence you were charged automatically after the trial period. 01:17 PM PST Nasim Fekrat: does the Amazon automatically sign up its customer for Prime membership? 01:18 PM PST Nasim Fekrat: I did turn it off. I also contacted someone on Amazon to check that. He or she said, I'm not signed up and that option was turned off. 01:19 PM PST Vinay: I now confirm that it has been turned off and the Prime Subscription has been cancelled. 01:19 PM PST Nasim Fekrat: Is there someone you could direct me that I can get an explanation regarding $157.08 charge for Amazon Prime for one year? 01:20 PM PST Vinay: I'm from the leadership team and have explained the details to you. This is the best we could help you with . Is there anything else I can assist you with today? 01:20 PM PST Nasim Fekrat: No, sir. You didn't explain to me why Amazon Prime charges me $157.08 for one year. Can you direct me to someone else who could explain this to me? 01:20 PM PST Vinay: It was a pleasure to assist you with this. Thank you for contacting Amazon.com. We hope to see you again. Please click "End Chat" to close this window. 01:21 PM PST Vinay: END CHAT for me? So, as you can see Vinay from the leadership team was not willing to explain why Amazon Prime charged me $13.09, which is $157.08 for year. Most of the people with whom I talked to were foreigners. I also speculated that it might be because of unfamiliarity or something that they were not trained for, but when I pressed them for explanation, I realized that they were not actually unaware of it, but rather they were unwilling to explain the price that is designed to fleece innocent customers out of their money. Even sometimes their language was incoherent and impossible to understand. I think they may use Google translator like this one, which sometimes I couldn't understand what he was saying. What I am trying to convey is that it actually does not say the actual price, which may influence people’s decision. If we add $.10 cents of tax to $12.99 that is $13.09, which is $157.08 for the entire year - the right amount that I was changed. The issue that I am concerned with is that Amazon Prime does not mention that on it is page. That is an ingenuous scheme. This is unethical and it should not be without consequences. In 2014, I was charged for the whole year. I only realized towards the end of the year when I checked bank account. I was not notified by e-mail or otherwise. When I contacted Amazon Prime, they said, well, sorry to hear that. You always have the option to cancel your membership. You can cancel your membership now, if you want. That was their excuse. Amazon has carefully planned that and they know how to get away with it because they know that poor customers have no other choice than opting out, but Amazon has already drained their pockets. Finally, I think it is imperative for everyone to share their experiences and expose schemes and ploys played by giant corporations such as Amazon. We can make them accountable and stop them from exploiting innocent and poor people. (Here I am going off on a tangent a little bit). We should share our ideas and experiences with each other to fight back against corporate greed and aggression. They are leaching off our hard work, our hopes, and success, and then use them against us not only economically but also politically. Big corporations want to own us and rule us. We need to stand up and not let this happen. We should work together to be creative and raise awareness in our social circles, in colleges and universities, in workplaces, and in households. We have to make our hard work, our sweat, our success matter. This is the hallmark of our modern values. We have to stand for it and don't let giant corporations take control of them. We need to get these things personal and turn it as a grassroots campaign on the street and on the web. Our laws are our tools, we can hold giant corporations accountable for their actions either it is related to global warming, health issues, human rights crises or small things like falling for the marketing ploy of Amazon Prime. I was saddened upon hearing the news on the death of Abdurehim Heyit at one of Chinese concentration camps. But that was a false news. Today a video of him emerged on social media showing him he is still alive. He is a prominent Uighur musician from Xinjiang region, which is mainly a home for Turkic-speaking people of interior Asia. According to news, Heyit is supposedly detained since two years ago. He is sentenced to apparently serve for eight years in what is called "re-education" camps in the Xinjiang region, where more than a million Uighur Muslims are reportedly being detained and tortured. Heyit is one of the most skilled Dutar players. It is not an easy instrument to master. I have been listening to his music since I was in college. Here is one of his beautiful pieces. Due to a lapse in government funding, most National Science Foundation staff will not be receiving or responding to email until further notice. We sincerely regret this inconvenience and look forward to responding to you once we reopen. Because of the lapse in appropriations (aka, "a shutdown"), we are unable to respond to your message. Deadlines are unaffected by the shutdown. So, here you go. You have some specific questions regarding funding and application, but you can't get an answer due to government shutdown. I thought I should write this post in case anyone wonders whether he/she should submit the application on time or not, deadlines, according to the federal employee of NSF are unaffected by the partial shutdown. While I believe everyone should have the right to use any text – holy or non-holy – for swearing-in, I cannot condone the fact that using any type of religious text for taking oath of office is latent prejudice against those who are atheists, secularists, and those who are not followers of Abrahamic religions. Yesterday, I read on the news that Rashida Tlaib, the newly-elected Democratic Congresswoman from Michigan, took her oath on the Qur'an, a copy that is said to be owned by Thomas Jefferson. Christian lawmakers have been using the Bible to swear in to the Congress for years, which has become a tradition. Recently, Jews have been doing so too, but using the Qur'an for swearing-in Congress seems a bit odd, not only that the book fundamentally opposes to American/secular values and even Christian traditions, it does not warrant our contemporary moral concerns. Why should a lawmaker swear in on the book that considers women inferior or unequal to men? Is it not ironic when a woman who is not considered equal to a man and whose most basic rights are inconsistent and disregarded by the book and yet she is taking an oath on? Jefferson's version of the Qur'an is not different from the ones that are available in public. The fact that Jefferson owned a copy of the Qur'an does not mean he glorified it or interested in Islam. I know a lot of people who have copies of the Qur'an who are not Muslims. I have read Mein Kampf two times, first in Farsi when I was very young and then I read it in college. I read it not because I was interested in Hitler's views; I rather read it to remind myself of an evil mind that can easily grow in our modern day. In the same way, given the fact that the Qur'an is the primary source of Islamic jurisprudence, Jefferson was obviously curious to learn about it and its influence on some legal system. It is not even known if he really read it. It is only said that he owned a copy, which is still available at the Library of Congress. He did not leave any note on it though. So, we cannot conclude that he really read the Muslim holy book. So, why Thomas Jefferson owned a Qur'an? The answer is simple. He was a curious man about everything, world religions, in general, and Islam, in particular. At the time he bought a copy of the Qur'an, he was a 22-year-old law student in Williamsburg, Virginia. His curiosity of reading the Qur'an was intended to understand Islamic law (particularly the Ottoman law) and how to deal with Muslims, which was a central issue among Christians as they gradually came into contact with the Ottoman Empire. In both Europe and North America, Christian groups, such as Protestants grew interest in reading the Qur'an not because they were interested in Islam, but they were concerned about Muslims encroachment on European territory. Christians in the West until recently refused to recognize Islam as a religion. The word "Islam" did not exist in Western language dictionaries up until 1816. Though the Islamic holy book was translated by German philologists as early as 16th century, Islam was not recognized by the Western world until the 20th century despite Muslim presence in the West as early as 16th century. There was no name for the faith; instead, Muhammadan, or Mahometanism were used for Muslim as the followers of Muhammad. Medieval Christians viewed Islam as a heresy of Christianity. In Dante's Inferno, both Muhammad and his cousin and son-in-low Ali are placed in hell. They are depicted as bloodthirsty and vicious men. Mohammad's body split from groin to chin and Ali's face cleft from top to bottom (Inf. 28.22-33; also see The Inferno of Dante Alighieri, p. 191). In fact, Jefferson himself criticized Islam as “stifling free enquiry," in his political debates. He also held a similar view against Catholicism. He was not a very religious person, which means he did not have much respect for fairy tales in the Bible. The Qur'an is not exceptional; it contains the same superstitious elements. Jefferson despised them. He took scissors in hand and excised all pages referencing to miracles. He cut and pasted the remaining pages together and created an abridged Bible. He thought of Jesus as an inspiring moral teacher, rather than Devine being. If he had considered the Qur'an as an inspiring moral source, he may have expurgated it from superstitions too, which I would doubt there would be more than a few pages left. It is not only wrong and misguided; it is ridiculous that some liberals are romanticizing Jefferson's association with Islam, to the degree that they have limited the scope of constructive criticism of Islam. They place Islam beyond criticism. Critics of Islam are often branded as racists and Islmophobes. Being preoccupied with the notions of non-negotiable rights, liberty and freedom of speech, both liberals and leftists use various means to labeling and intimidating everyone who disagrees with them, especially on the base of their liberal idealism. They disregard even if these values are violated by Muslims; they use this yardstick not only to purchase more party power from minorities, but also measure and judge the actions of their opponents. Tlaib's profane outburst is an example. Ironically, her profane remark came after she took an oath on the Qur'an, which was not only ignored, but also received support from her fellow lawmaker. This shows that cursing and incivility is fine against opponents as some of Tlaib's supporters expressed. I am by no means supporting Trump, he is an empty vessel of moral values; I am more concerned at the prospect of the rhetoric of left-wing populism that may blur the lines between what is right and wrong. Finally, it would be more meaningful if Tlaib had taken her oath on the U.S. Constitution like Kyrsten Sinema, the Democrat senator from Arizona, rather than using the Qur'an, which is incompatible with the U.S. Constitution and American values. I personally believe that the oath should be abolished altogether. It is an ethical prejudice against those who are not religious or followers of Abrahamic religions. Yesterday, I went to the Philadelphia Eagles game, which is my adopted team. 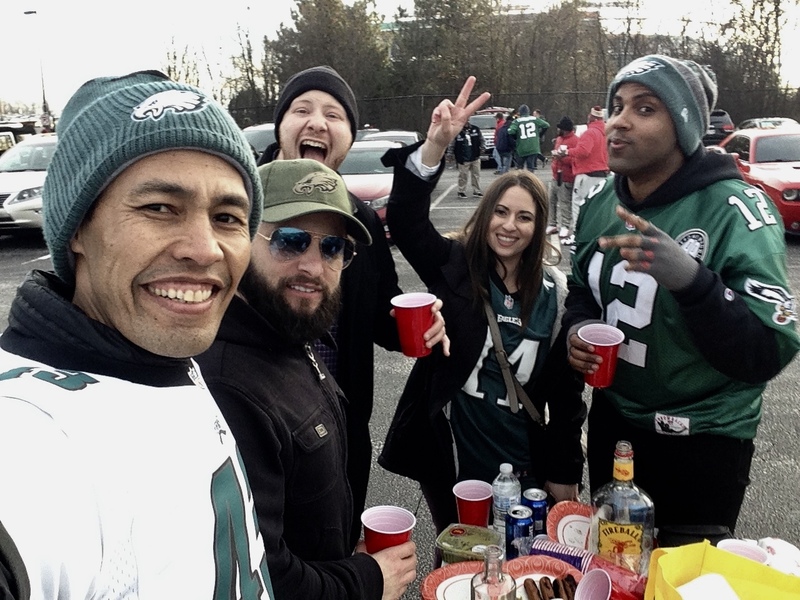 We tailgated outside the Redskins stadium, at FedEx Field in Maryland. It was full of joy to cook and drink with my favorite people and meet some new ones. Lamb me, I got drunk pretty early, but I was able to handle it well. On my way home, I walked for nearly two hours to burn out some calories, but I got really tired when I got home. I slept like a log last night. The Eagles, my team, battled hard to get into play-off by victory of 24-0 over the Redskins. That means there is some hope for the reigning champions in postseason. On a different note but still related; if you are new in the United States, try to learn about American football. In fact, the best advice that I can give to people who are new in this country is to follow American sports, especially football. American football is more than a religion, it is a national pride. It plays an important role in American identity. If you become a fan of American football, you have gained respect and appreciation of American people. To them, you are a comrade, regardless of your skin color, religious or ethnic backgrounds. I have firsthand experience since college and yesterday, when I got on subway in D.C wearing my Eagles jersey and hat, I received lots of smiles and nods from passengers on the train. Everyone tried to strike up a conversation with me about my team. Someone told me that his mom is an Eagles fan, but he is a big Redskins fan. But still he wished me good luck. Contrary to soccer, American football is very complicated. When I first came to American, the first thing I wanted to do was to learn how American football works. BBC World Service had a basic guide to American football. I tried to find it but I could not located on their website, but now you can find tons of guides online. This wikiHow guide is a good first step to understand the roles and terminology of the sport. The rest, you can follow on Youtube, simply type "guide to American football." You will have tons of video guides in front of you. So, if you want to assimilate to American society, one way is to understand American football. Try to go to your favorite team's game. If you can't go, wear apparel and gear of your team on game day. You can watch the game on TV and make sure you talk about your team and its players with great passion and enthusiasm. This is a key to understanding American people, culture, and customs. Animal Rights for Animal-Like AIs?